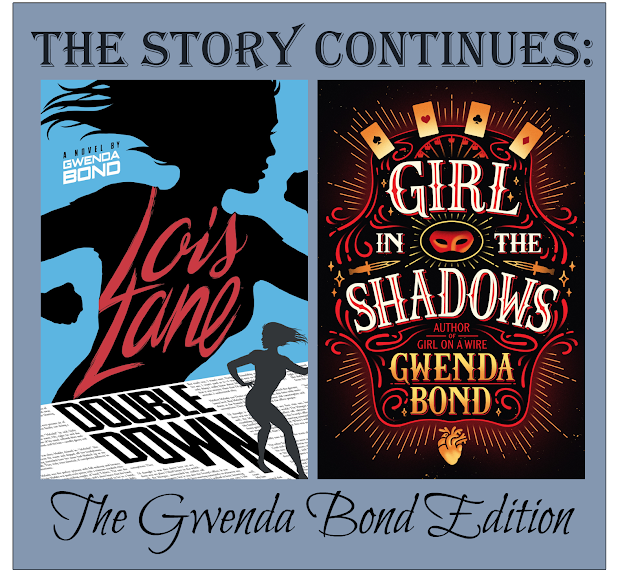 2016 was a good year for fans of Gwenda Bond's series with new additions to both the Lois Lane and the Cirque American series. And, since we are fans of both series, we decided to bring those new books together in a special addition to The Story Continues feature. The sequel to Lois Lane: Fallout catches up with Lois right after her first big story. She thought the first story would be the hardest, but now she finds herself with something to prove. Why can't all stories be big stories? She agrees to do a human interest piece (grudgingly), but stumbles onto something with big potential in the process. This could be more than news-breaking; it could affect all of Metropolis. The Lois Lane series is a superhero origin story, combined with a mystery and a tenacious main character. Double Down is a fun read because it in it we get to know many of the characters from the first book even better. We learn about Maddy's twin sister and spend more time with Smallville Guy. The mystery surrounding his identity really deepens in Double Down. Things get more complicated for Lois in this second installment. The story she's researching affects her friend, Maddy, personally, making the pressure all the more unbearable. There's also a lot going on with SmallvilleGuy. Lois has unanswered questions about their relationship and his identity, and the chatroom is full of confusing buzz that could prove dangerous. I think the mystery in Double Down is what really kept me reading. I love the feeling of unovering the truth with Lois as she investigates and prepares her story. The reader only knows what Lois knows and it's fun to make deductions along side her. Lois Lane: Double Down is a fabulous second installment. Gwenda Bond has me eager for more about Lois and her friends in Metropolis. Last year we did a post on Intellectual Recreation featuring books set in circuses and sideshows. In putting together that post, I found that the circus is a setting that really appeals to me, and, I quickly rediscovered that love within the first few pages of Girl in the Shadows. I think I like how circus folk have a life that is so outside the mainstream, and that is definitely the case with Moira. She grew up traveling with her famous magician father and working behind the scenes at his Las Vegas show. Moira truly has a lot on her plate. There's the whole proving herself to her father thing (and who are we kidding, to herself as well), the issue of controlling her newly awakened power, and being on her own for the first time. As if things aren't complicated enough there's this knife-throwing love interest that the reader is not quite sure can be trusted for most of the book. Really, it's a pretty great time. Girl in the Shadows is all the sleight of hand and tricks of the film Now You See Me plus the magical underworld of White Cat. It's a book full of mystery, magic, and suspense. 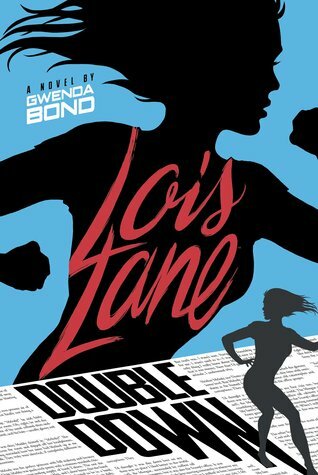 Lois Lane: Double Down reviewed by Paige. 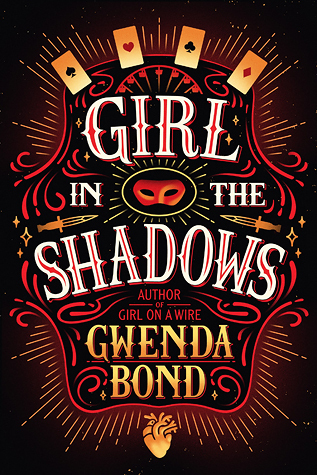 Girl in the Shadows reviewed by JoLee.